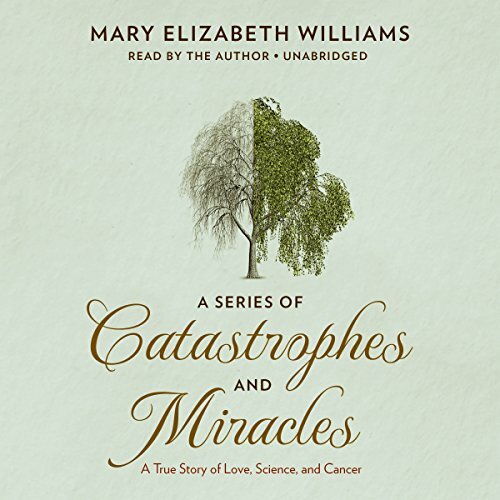 Showing results by narrator "Mary Elizabeth Williams"
After being diagnosed in her early forties with metastatic melanoma - a "rapidly fatal" form of cancer - journalist and mother of two Mary Elizabeth Williams finds herself in a race against the clock. She takes a once-in-a-lifetime chance and joins a clinical trial for immunotherapy, a revolutionary drug regimen that trains the body to vanquish malignant cells. Astonishingly, her cancer disappears entirely in just a few weeks. But at the same time, her best friend embarks on a cancer journey of her own - with very different results.